T-Mobile has now rolled out the same update to its Galaxy S9 and Galaxy S9+. Verizon Wireless began rolling out a software update yesterday (August 10th) to fix what seems like a set of fairly uncommon bugs related to video calls, phone calls, and the iris scanner. The bug-fixing update also brings the July security patch. This software update gives you the most up to date Android security patch on your device along with other improvements and bug fixes. Fixes an issue that could cause the inter carrier video call to fail under certain scenarios. Fixes an issue that could cause the outgoing call to fail under certain scenarios. Fixes an issue that could cause the phone to reboot when unlocking your phone with iris scanner. 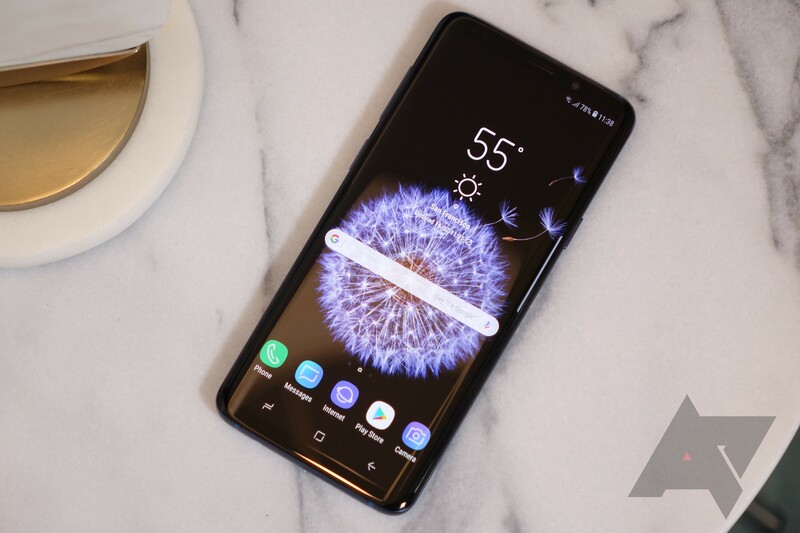 Call-related problems are nothing new for these phones, as Samsung rolled out an update of its own back in May to fix what appeared to be rather widespread call stability issues for the S9 and S9+. The set of bugs addressed in Verizon's latest update appears to affect a much more limited user base. If you use an S9 or S9+ on Verizon and haven't already received a notification that the update is available, you can try going to Settings > System updates > Check for system updates. Verizon says that it will take 6-10 minutes to download the update and another 6-10 minutes to finish installing the update.